Professor of public interest law and Chicana/o studies, Johnson wrote the piece “Trump and Sessions can end immigrant family separations without Congress’ help,” published Wednesday morning by The Conversation. He is author of How Did You Get to Be Mexican? A White/Brown Man’s Search for Identity. She said today: “The announcement for Trump’s executive order comes as several ongoing lawsuits are challenging the separation policy. Additionally, a 1997 Flores agreement states that children can only be held in the least restrictive setting possible. See AP piece “U.S. 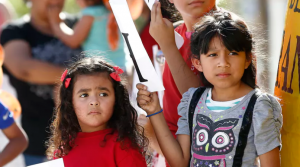 has split up families throughout its history“: “Some critics of the forced separation of Latino children from their migrant parents say the practice is unprecedented. But it’s not the first time the U.S. government has split up families, detained children or allowed others to do so.